Symposium director JP McMahon to use the National Launch event to outline the main theme of ‘Conversations’ for this year’s Food On The Edge. 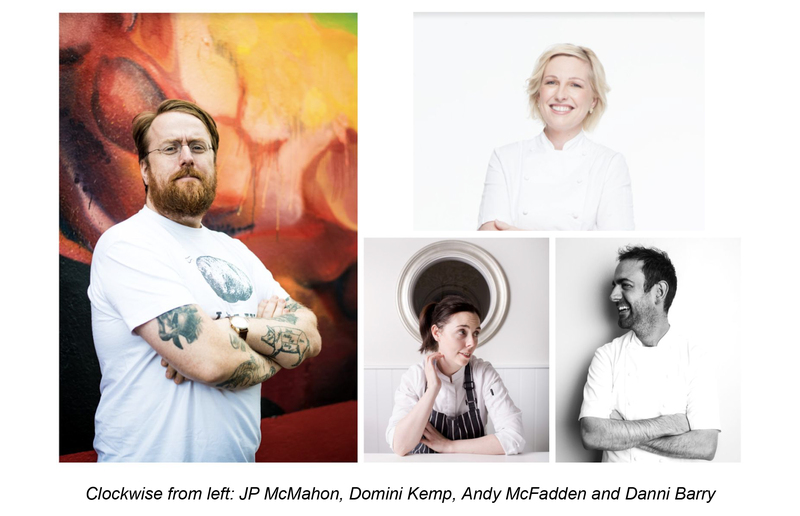 Food On The Edge symposium director JP McMahon has announced that top Irish chefs Andy McFadden, Danni Barry and Domini Kemp will be the guest speakers at the National Launch of Food On The Edge 2018 taking place on Monday the 13th of August in Glovers Alley by Andy McFadden in Dublin, Ireland. One of this year’s panel conversations will feature London-based Irish chefs, namely Niall Davidson of Nuala restaurant, Marguerite Keogh of The Five Fields, Kevin Burke of The Ninth and Aidan McGee of Corrigan’s Mayfair, who will talk on the topic of “Irish Chefs Abroad”, their views of Irish food and what the future holds for their careers. The 2018 Food On The Edge venue is the Bailey Allen Hall at the National University of Ireland Galway (NUIG), Ireland. The event on the 22nd and 23rd of October will be a mix of 15-minute talks by speakers, panel discussions and masterclass sessions. A 2-day Early Bird ticket is available until 31st August 2018 for €300 which includes access to all talks plus lunches and entry to the infamous wrap party. Organisers say tickets are selling fast, with a sell-out show last year. Gather & Gather is a principal partner of Food On The Edge this year, with Estrella Damm and San Pellegrino returning as major sponsors.